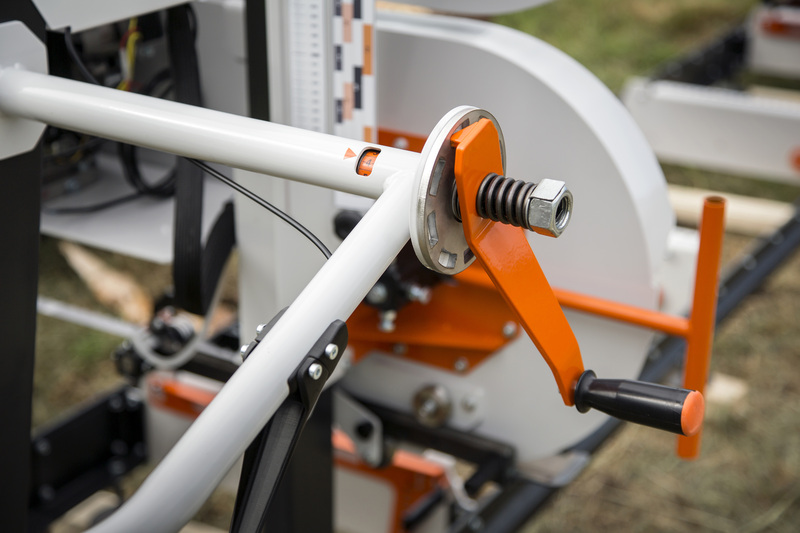 In its standard configuration, the Logosol B751 has a sawing length of 4.8 metres. 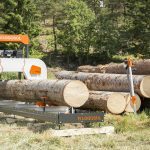 This band sawmill can manage logs of large diameters, up to 75 cm in diameter. 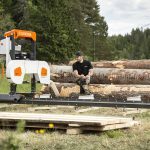 With the fixed steps for depth of cut, you can easily set the sawmill to the desired board dimensions, quickly and accurately every time. You get a rigid and extremely functional band sawmill that is best in its class when it comes to sawing. Please view the video below. 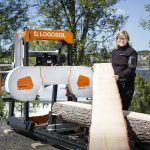 After several years of selling band sawmills from Norwood, Logosol has taken the next step and launched an in-house developed band sawmill with the focus on user-friendliness and capacity. 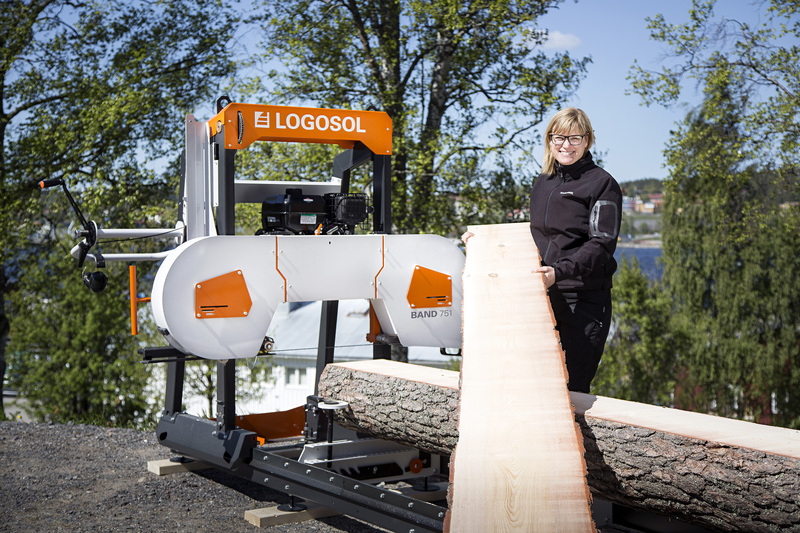 Logosol’s own bandsaw mill is Swedish-made and robust, with several well thought-out features that facilitate working with the machine. 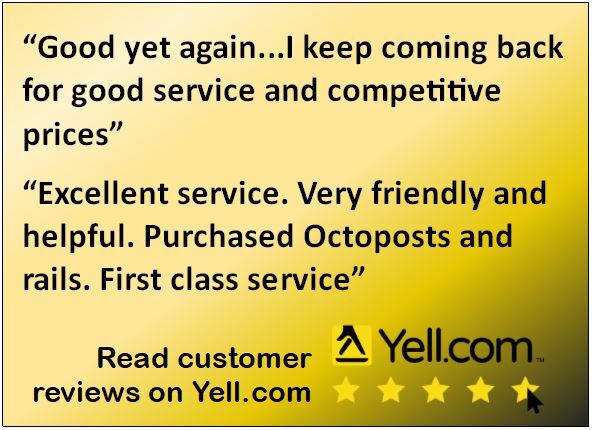 Its design is revolutionary and offers the best system for manual sawhead setting that you can find on the market. We offer several motors options: both smaller, more affordable alternatives, and others with an abundance of power. As options there are one petrol-driven 13 hp engine, and two electric motors (4.6 or 8 kW). The electric motors are highly efficient and give close to double the rated power during operation. In horsepower this is equivalent to 9.5 and 20 hp respectively. 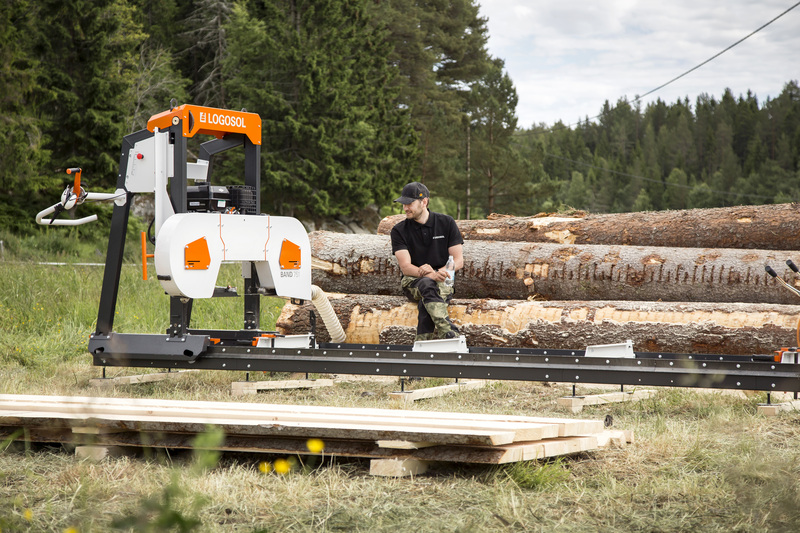 Equipped with the 8 kW electric motor, the B751 can compete with significantly larger and more expensive band sawmills. 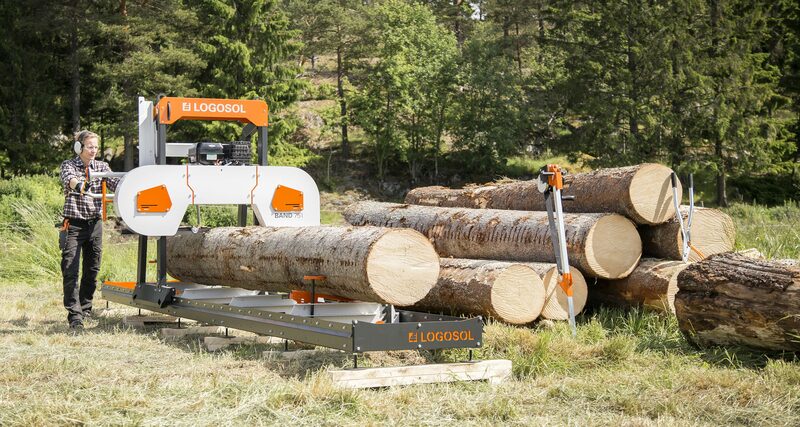 The Logosol B751 is an excellent band sawmill if you prefer to cut timber with a band blade rather than a chain. 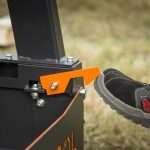 The sawmill comes preassembled and with a detailed user manual. You only have to assemble the rails/log bed before the sawmill is ready to start. You quickly get started with your production and can start sawing shortly after you have received the sawmill. 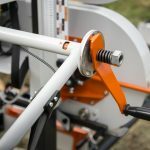 In addition, included in the purchase, you also get band blade, levelling feet, one log clamp, two log supports, water cooling, adjustable blade guide and a two-year warranty. 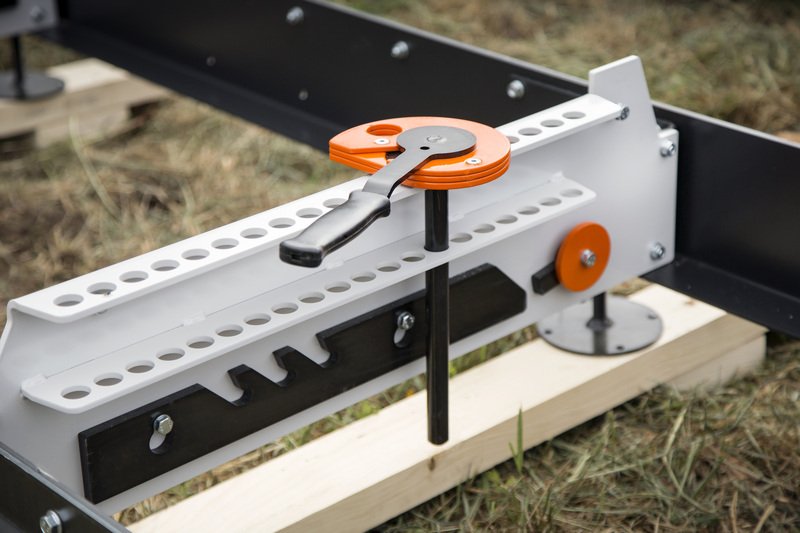 Easy-to-set-up band sawmill with pre-assembled sawhead. The bed would need building which would take approximately 2 hours. Robust and solid. 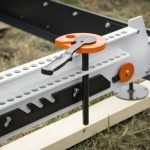 A stable design that gives you an amazing sawing result. Quick and accurate setting of the saw cut. The sawhead is adjusted in fixed steps. One rotation of the crank always equals 1 inch. One step compensates for the kerf. The Last Cut indicator on the absolute scale helps you remember the previous cut, and works as a reference for the next cut. 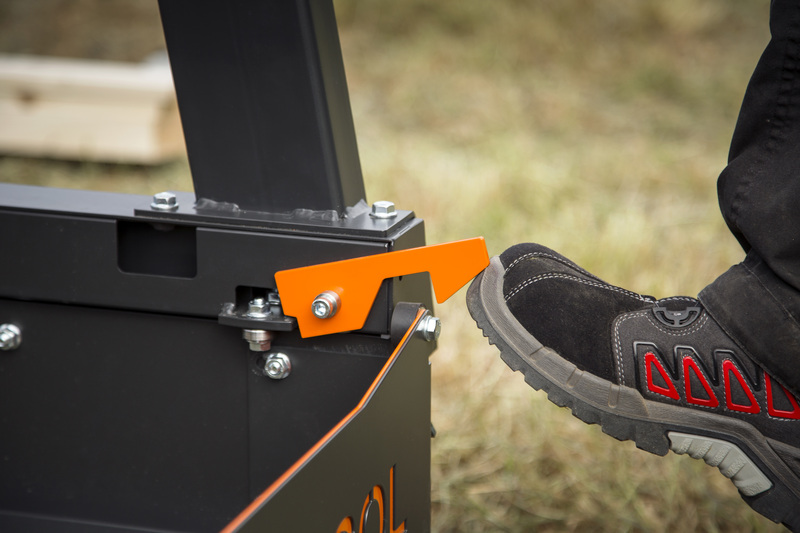 A patent-pending log clamp with sturdy handle and robust design is included. It secures the log with great force without damaging the timber. It works just as well when you are taking the first cuts as when cutting the last thin board. Easy to keep the worksite clean. 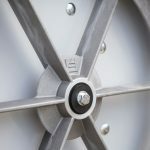 The band wheels have fan blades, which both blow out the sawdust and keep it clean and tidy inside the sawhead. A great advantage when changing band blades and carrying out maintenance and service. Exact blade guiding, which you only find on considerably larger and more expensive sawmills. The petrol-driven model has a first-class centrifugal clutch that facilitate the engine thrust during operation. The logs can be loaded from either side of the band sawmill. Fine adjustment on the bandsaw blade wheels thanks to the 3 bolts that allow perfect alignment. 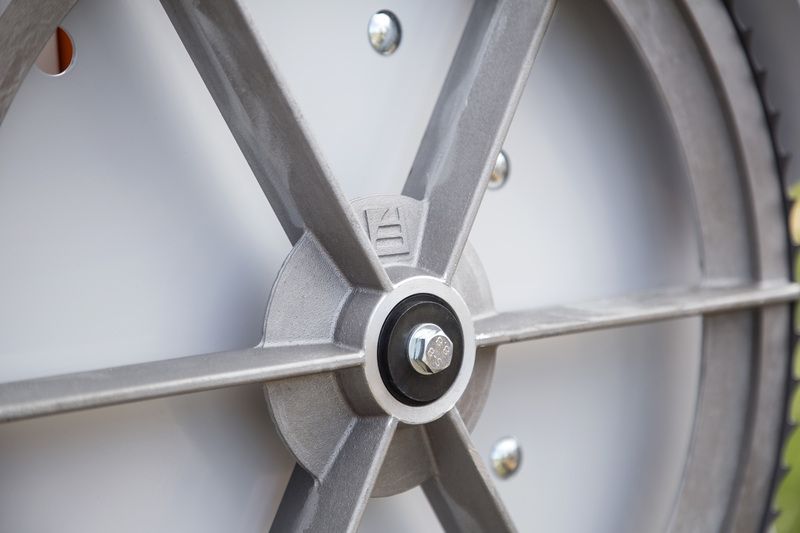 The metal band sawcover/guard folds up when accessing the banwheels. A round saw dust discharge chute allow the sawdust to be collected if required. 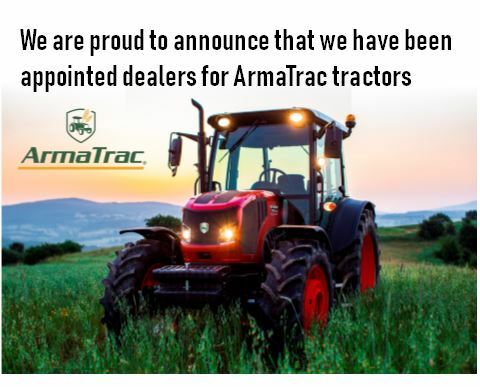 Feel safe with a market leading company with extensive experience. LOGOSOL was founded in 1989 by Bengt-Olov Bystrom and the company is still owned by the Bystrom family in Harnosand, Sweden. We have sold over 25,000 sawmills and more than 10,000 planes. We have over 25 years experience in small-scale wood processing and have daily contact with customers worldwide who fulfill their dreams of wood! Applies to all of our machines. This means that you can try the machine before deciding. Saw, plane or mould a good deal of timber, we are not afraid of taking back a machine with a little sawdust on it. You pay for the used cutting tools and the costs of return shipping, but that’s all. Please view the videos below to view a series of videos demonstrating how to do various things on the band sawmill. Logosol B751 manual Eng. Version 2.